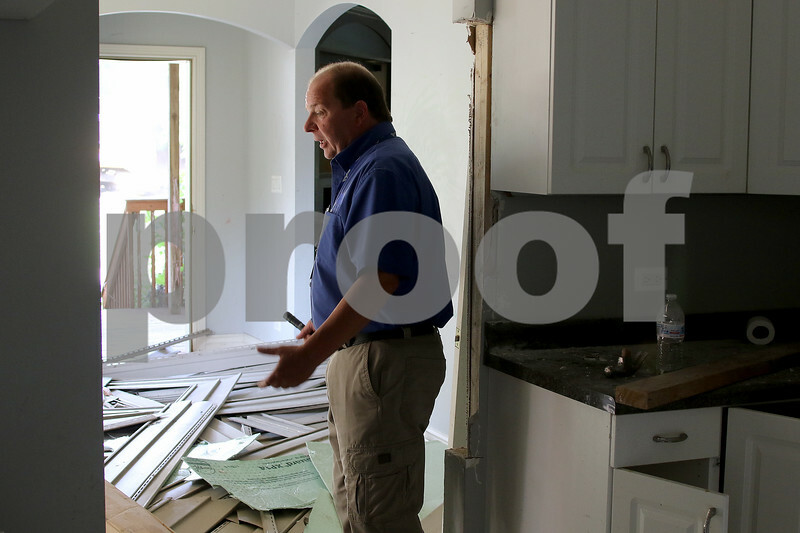 Rob Wierzba, building inspector for the city of DeKalb, takes a look through a Hollister Ave house on Wednesday, July 5, 2017 in DeKalb. Wierzba is looking for freezers, paint cans, aerosols, or any other items that could pose a health and environmental risk upon demolition of the home. The houses were purchased by the Kishwaukee Water Reclamation District to make way for upgrades to the facility.